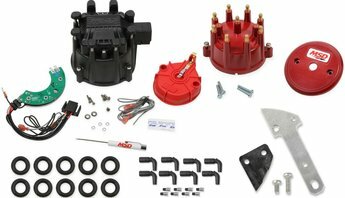 They're compatible with 4-, 6- and 8-cylinder engines with magnetic-pickup, electronic, and even points distributors. MSD's New 103mm LS Throttle Body! MSD's New 103mm LS Throttle Body answers the need for a high-flow, cable operated, bolt-on solution! 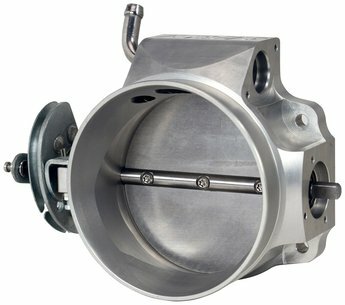 The CNC machined billet aluminum big bore throttle body features a unique parabolic contoured inlet that outflows the competition. Reinforced 3-bolt mounting design and dual ball bearings design lowers shaft twist and increases TPS accuracy for smoother operation of throttle without sacrificing airflow. Can be used with all OE intakes and sensors. 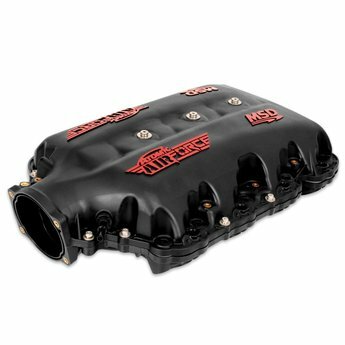 El Paso, TX; November 12, 2014: If you're looking to Bolt-on power and torque, the new Atomic AirForce intake manifold from MSD is the answer! This all-new polymer intake will increase the performance of stock and modified GM LS engine platforms and the new LT1 engine. 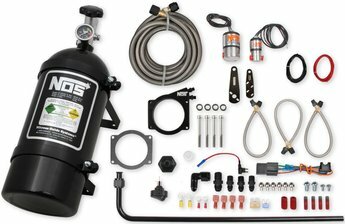 El Paso,TX; March 25, 2014 MSD Performance is excited to announce that the Atomic Fuel Injection System has been granted an Executive Order Number from the California Air Resources Board! This E.O. 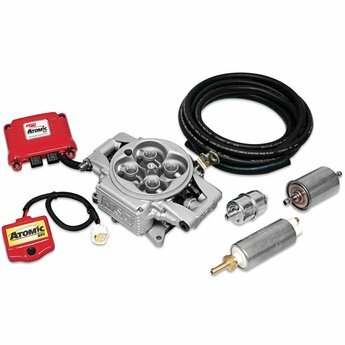 Number makes the Atomic the only aftermarket EFI system that is legal on 1987 and older GM vehicles in California! El Paso, TX; March 18, 2014-As vehicle electronic requirements continue to evolve and gain acceptance in the aftermarket, MSD is at the forefront of integrating electronic controls and technology to keep the installation and programming simple. 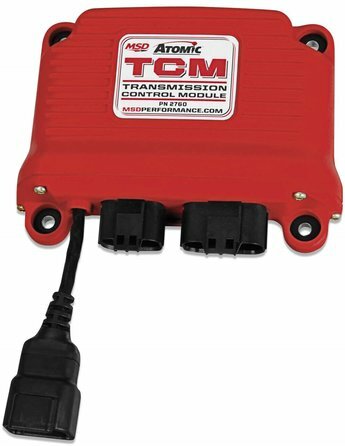 MSD's Atomic EFI systems, known for its simplicity and performance, has shifted gears and now offers an advanced transmission controller for late model GM and Ford transmissions. Idle adjustment procedure for Atomic TBI.